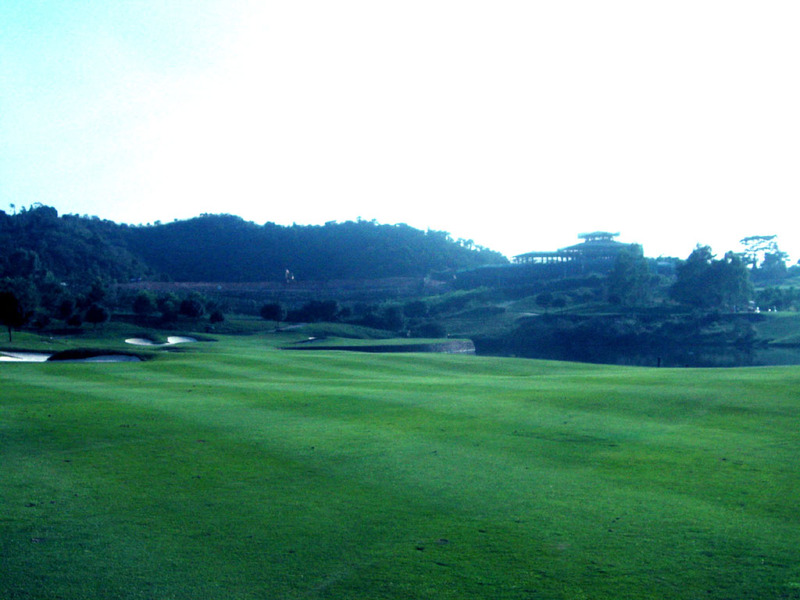 It is my first time to play a Nick Faldo designed course. Most people say it is an easy course but I think that it is difficult because the length is 6900 yards from the pro-tees and bunkers & ponds are strategically well placed. If the intermediate or advanced players use the blue-tees, the distance is a mere 6200 yards, 900 yards less. I assume that consequently a lot of hazards that are in play from the pro-tees become just ornaments. 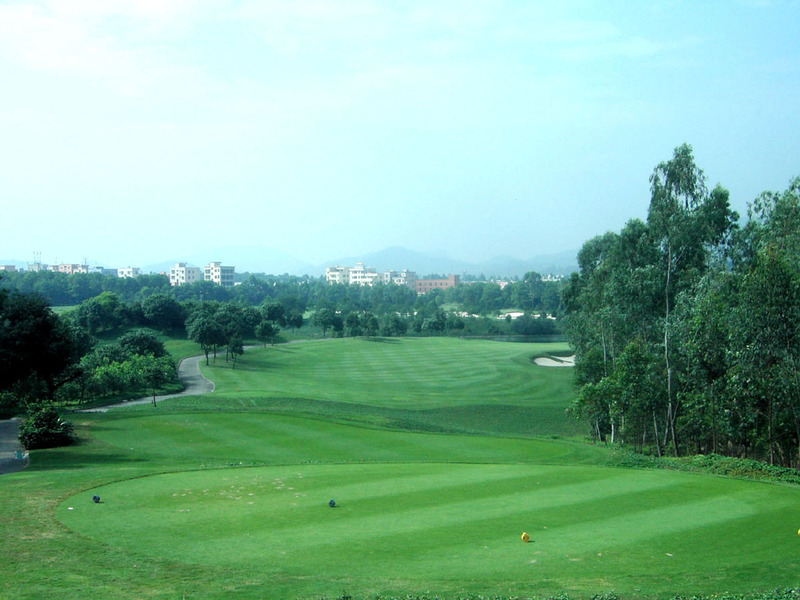 The course layout demands forces you to think carefully about how to attack the pins before you hit each shot. 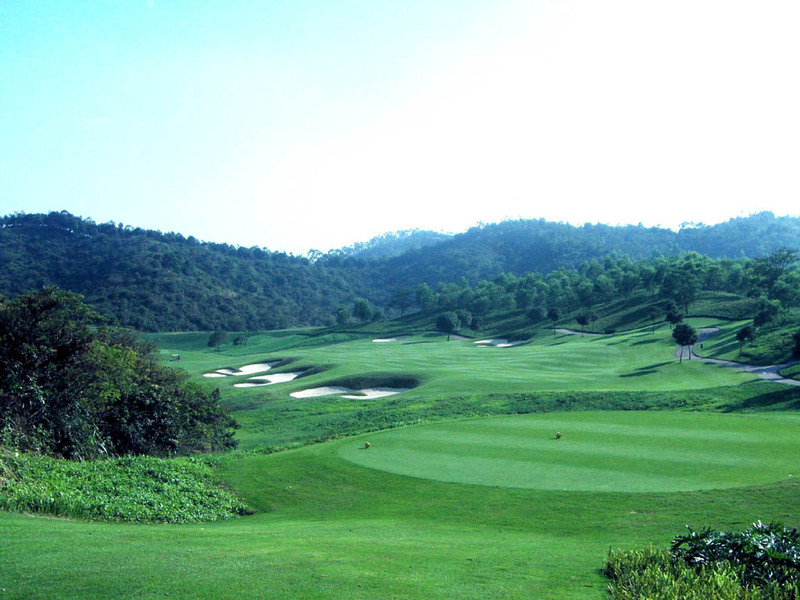 This is a wonderful course, having a good layout, a high degree of difficulty and superb fairway conditions, which make you want to come back here and challenge it again. A slightly downhill dogleg to the right and long par 4. A pond extends from 100 yards in front of the green to the left side of the green. A large bunker in front of the green comes into play, which makes the second shot demanding. A short par 4 with the green swung to the right. The tee shot is intimidating because you need to hit the narrow landing area guarded by bunkers on the right and water on the left. The green is also protected by water on the front and bunkers at the rear, so an accurate approach shot is needed. Because there is a pond running from right in front of the green to the left side of the green edge and there is plenty of distance as much as 200 yards left to the green, this hole is very difficult. It would be a wise decision to hit the right edge of the green by giving up a birdie, and to save par for a long par putt or one chip one putt. The official stroke index shows that this hole is the 4th easiest hole, which I cannot believe. A slight uphill, very long par 4. The bunkers crossing the left half of the fairway come into play off the tee. Par here is like birdie anywhere else. A dogleg to the left turns uphill on the second shot. The landing area on the first shot is not generous due to 5 well-placed bunkers. 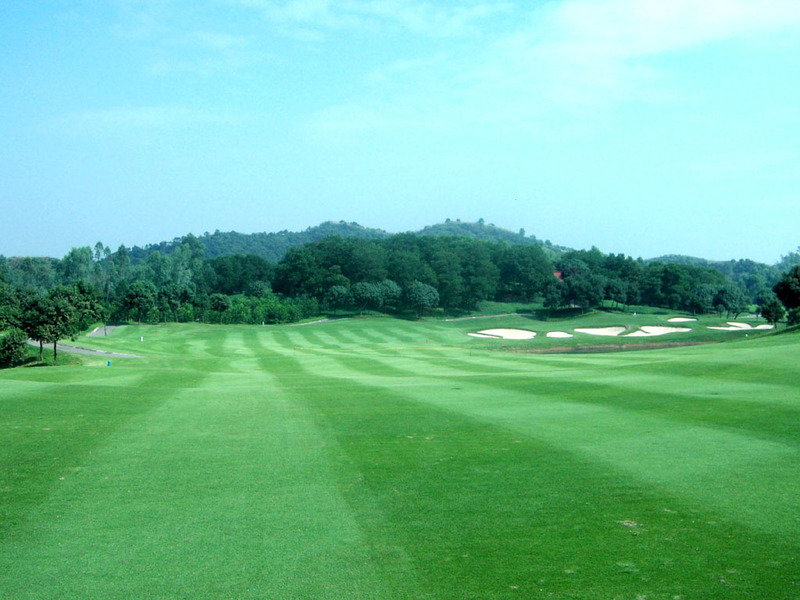 The shape of the green is like a horseback and you may face 3 putts depending on the ball position. Although downhill and a short distance par 3, the island green is only 30 yards in diameter so a precise shot is required. The right club selection is crucial on this hole. 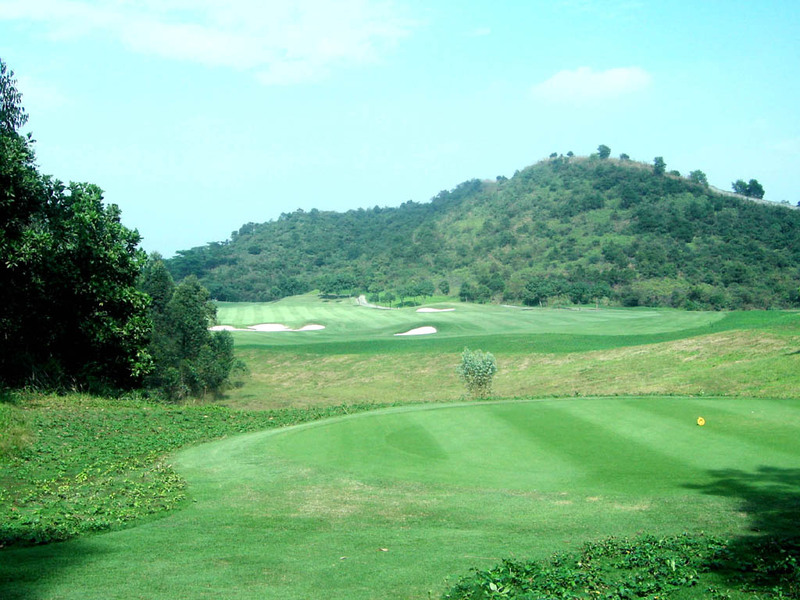 It is a kind of fun to play this hole from the tee but not from the front tee. It’s only about 110 yards to the green from the front tee and when you consider that it’s downhill, the real distance would be around 90 yards. The distance from the front tee needs to be shortened for beginners because the green is small compared to the average size of island greens. However, I think that not many people will be happy to hit a green in regulation for 90 yards distance by using PW or SW.
A long and difficult par 4 with water on the right. The green is swung to the right and the second shot is over water and bunkers, which is demanding. 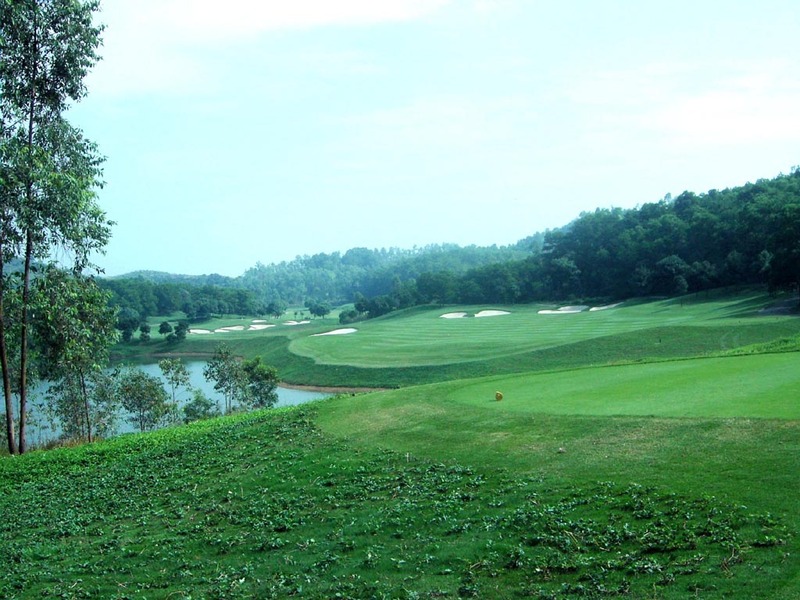 A beautiful par 5 with a tight fairway and a pond on the right and bunkers on the left side of the fairway, which make you nervous on the tee shot. 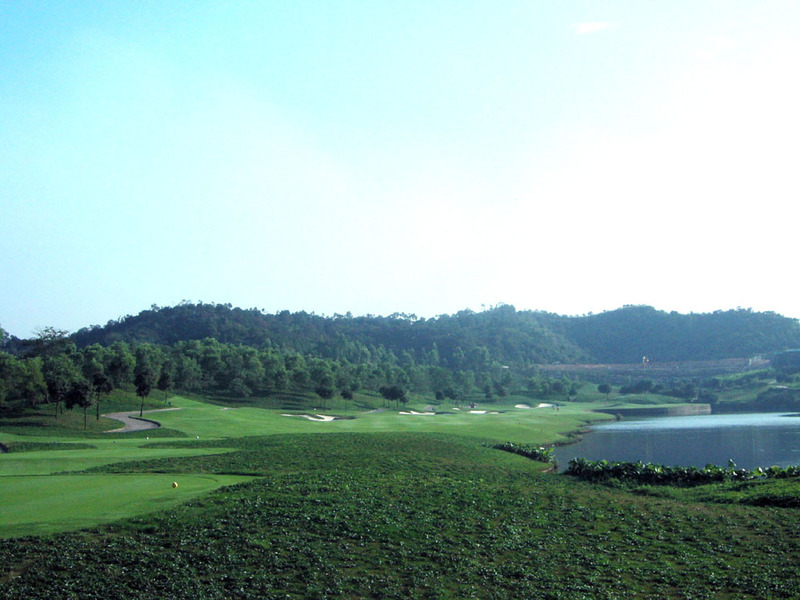 The pond on the right is extended to the front of the green and so it is difficult to hit the green in two. The green is a peninsular shape and guarded on three sides by water. It is a little inconvenient to spend extra 15-20 minutes from the clubhouse by a golf club bus. So, there are fewer players compared to the other 4 first-built courses, which helps to maintain the good condition of the fairways. One drawback is the current slow condition of the greens but otherwise it is almost a perfect quality golf course. 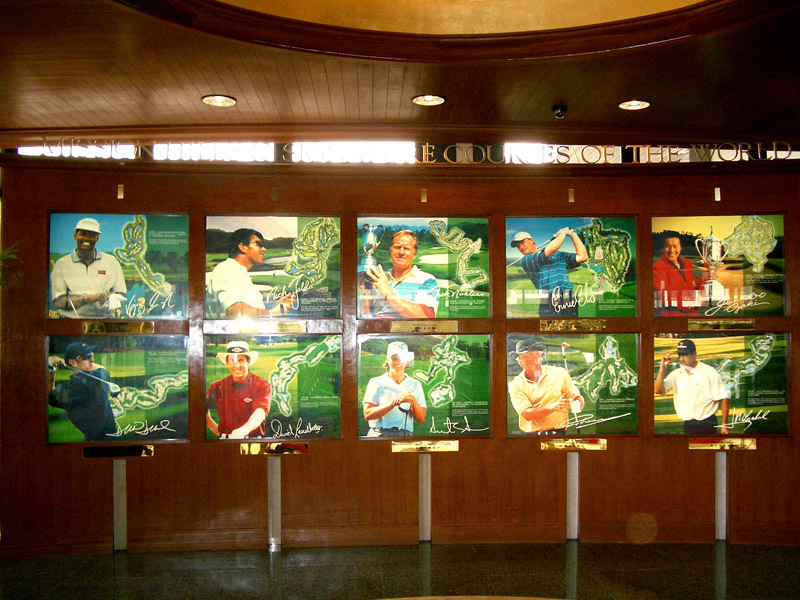 I could play from the black tees, the longest tees by showing the starter a single-handicap certificate.